Storey Publishing, LLC, 9781580170314, 144pp. Compete like a pro! 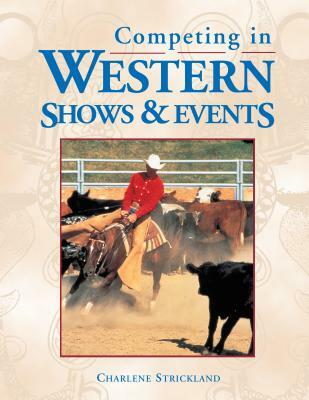 Veteran rider Charlene Strickland takes you on a fascinating tour of Western contests and events, providing all the information you need to take home first prize. Packed with helpful photographs and clear illustrations, Strickland covers everything from dressing correctly to mastering the skills that will make the judges take notice. With advice on dealing with show ring traffic and a thorough explanation of the rules of competition, you’ll be ready to saddle up and ride out on the big stage.